Here at Justfreebies.com, we’re in charge of the searching, and you’re in charge of the saving! Our experienced team of freebie hunters scours the web for the best of everything. Deals, coupons, freebies, sweepstakes… you name it! Then, (and, here’s the best part), they compile it all on one ultra-convenient site. 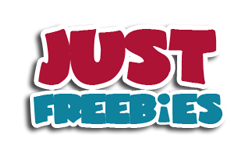 Justfreebies.com! Make sure to check back daily for our latest and greatest offers. Awesome! I’m all in! So, how do I get started? You start by browsing the Justfreebies.com site for our offers. You can do so easily by using our search engine tool (located at the top-right section of the page) to find specific offers. Once you locate an offer you’re interested in, just click on it, and you will then be redirected to another page with additional product information. Did you find an offer you wish to redeem? Great! Now, you just need to follow the instructions posted below the offer description. Begin by clicking on the “Grab It Now” button. At this point, you will notice that a new page will open, usually on the third-party site where your special offer originated. Follow the instructions on the new page, which typically includes filling out forms, and click submit. Is it possible for Justfreebies.com to send me the freebies I want? Our goal is to ensure that you get your samples quickly. So, it’s important to make sure that your contact information is filled out completely and correctly once you register with Justfreebies.com. However, as we’ve mentioned before, please do note this only applies to offers specifically fulfilled by Justfreebies.com. For samples shipped by our third-party associated brands, you will be obliged to redeem them via their site by following their instructions. If the product or sample is still available to redeem, then the company that is offering that particular freebie will send it to you. Does Justfreebies.com ship out the freebies? Yes, Justfreebies.com does ship out some of their advertised offers, though, not all of them. Some offers are, in fact, shipped by other companies. You see, since our top-notch Justfreebies.com team is committed to tracking down as many freebie offers as we can provide for our site subscribers, that often requires linking subscribers to websites that provide and ship their own samples. So, to clarify, Justfreebies.com does not directly ship those offers because we are not affiliated with those companies. Don’t worry! Any third-party brand offers NOT shipped by Justfreebies.com is always clearly marked when in the process of redeeming said offer. So, when you do go to redeem a third-party offer, you will be redirected to the company page of the third-party brand distributing that offer. Should you have any questions or concerns pertaining to a freebie that you requested from one of these third-party company sites, Justfreebies.com asks you to please contact the brand hosting the offer. For any other sample inquiries, do not hesitate to email us your questions or concerns at support@Justfreebies.com. How come I haven’t received any freebies yet? All of our offers on Justfreebies.com are for well-known, very popular products. Since these offers are available to so many people, are in limited quantity and availability, and are only available for a limited time, then you’ll need to act fast! It’s important to redeem an offer as soon as it is posted. That means you’ll need to keep on top of our latest deals through our Facebook page and email newsletter. Another thing to keep in mind is the fact that several of these offers are controlled and distributed by different brands and shipping times will vary. You should contact the host company if you have yet to receive your freebie after 4-6 weeks. How come some freebies are expired before I can even redeem them? The freebies listed on Justfreebies.com are available only in limited quantities. Depending on the popularity of the product, some freebies may have a high demand. Consequently, some of the deals that you may be interested in may equally interest others as well. Be quick when those offers appear! Redeeming them as soon as they appear increases the likelihood of receiving that item. Our Justfreebies.com team attempts to remove expired offers quickly, but do please notify us should you find an expired offer on our site by emailing us at support@justfreebies.com. Am I required to sign into the Justfreebies.com website? No. It isn’t necessary to sign into Justfreebies.com. You can browse through all of our offers without a required username or password. But, if you are interested in our coupons, freebies, and sweepstakes, then you may want to take advantage of our offers by signing up for our newsletter! To do so, just scroll down to the end of our main page and input your information where required. What is the Justfreebies.com deals page? The deals page? Why, that’s our best page! It’s where all the awesome discounts are! If you’re looking for the most popular brand-name products out there, then you just have to check out this page. These deals are not free, but, for a limited time only, they are reduced in price. You have to be quick, though! You definitely won’t want to miss out on these crazy deals! Can you mail me coupons? I don’t have access to a printer. Unfortunately, we are unable to mail out coupons. If you are still interested in receiving Justfreebies.com coupons, a convenient alternative is the Coupons.com app. You can download it onto your tablet or smartphone. Once you’re at the store or location you wish to redeem the offer, you simply show the cashier your mobile coupon. Do inquire with your local retailer(s) as to whether they will accept your mobile coupon first! Read the coupon itself as it provides all essential information. Can I get freebies shipped to me even though I do not live in the USA? For the time being, Justfreebies.com only posts offers available to US residents (territories not included). We apologize for this inconvenience.